The Hi-Tech Treatment and Conditioner for today's Diesel and Bunker Fuels. Use for trucks, buses, marine applications, power generation, industrial boilers, construction, railroad, government/military, automotive, or any application of #1, #2, #4, #6, Bunker, IFO, or Bunker/Crude Blends and gasoline’s. EnerFuel is the All-Season Treatment for Diesel, Biodiesel, Biomass Based Diesel, Gasoline, Ethanol Blended Gasoline (Gasoline), and other Fuels, to Improve Efficiency, Increase Power, Reduce Emissions, Reduce Engine Wear, Stabilize Fuel, and Eliminate the Harmful Effects of Water in the Fuel. 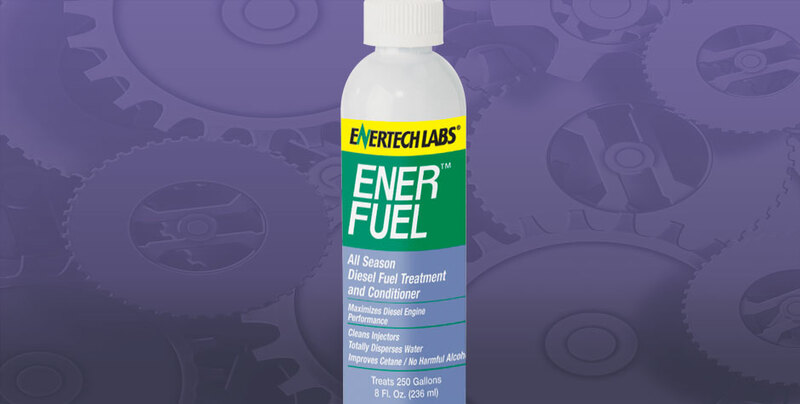 EnerFuel is an organic based product that is a powerful fuel system cleaner. 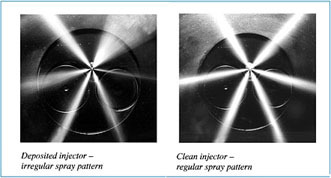 It dissolves the gum, varnish, and carbon deposits that distort injector or burner spray patterns and damage delicate injector and pump components. Cleaning these parts allows your engine to operate with all the efficiency that the manufacturer designed into it. EnerFuel chemically removes the water found in all diesel, middle, and heavy fuels. Eliminating water cuts corrosion, halts the growth of bacteria, and stops fuel line freeze-ups. EnerFuel dramatically slows the oxidation of fuels, thereby stabilizing it. Treatment ratio is 1:4000 which equals 8 oz. per 250 gallons, or 1 gallon per 4000 gallons of fuel. First time users can use a ratio of 1:2000 which is 8 oz. per 125 gallons, or 1 gallon per 2000 gallons of fuel to speed the cleaning process. When operating in extreme conditions, i.e. marine, high humidity, poor quality fuel, it is acceptable to use 8 oz. per 125 gallons (1:2000) on a regular basis. EnerFuel will eliminate its own volume in water. For cold weather operation, we suggest the use of Polar Flow or CFT – Complete Fuel Treatment. I started using Enerfuel in my 2007 International 9900 and noticed more power in the first tank full. My cumin engine ran smoother and I noticed a .2 MPG increase on my bully dog tuner. I was having water issues in my bulk tanks, and generators and other equipment, so I started treating regularly with Enerfuel for the water issue, but then noticed, that I was also replacing fewer and fewer injectors. I have used Enerfuel in my bulk tank for the last 2 years, and have since seen no algae, bacteria, or water issues. I also has noticed a dramatic reduction in the replacement of filters, and active regens. I had a John Deere Excavator transferred to my branch that had a major water issue in the fuel tank after the cap was left off over night during a rainstorm. I treated heavy with Enerfuel and ran the machine for an hour. Enerfuel removed the water, bringing the equipment back to proper operating conditions.